Thom Yorke announced today at http://www.radiohead.com/deadairspace/ that his band Atoms For Peace (previously billed as ????) will play a series of eight U.S. shows leading up to its April 18 appearance at the Coachella festival in Indio CA. 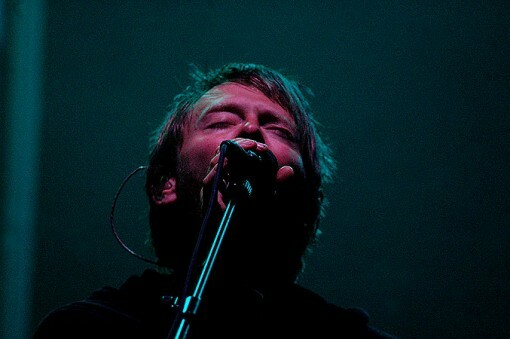 The Atoms For Peace lineup remains the same as when the band performed three shows in Los Angeles last October: Yorke, Flea, Mauro Refosco, Joey Waronker and Nigel Godrich. See below for full itinerary and check http://www.waste.uk.com for on sale details.